Our panel of experts share their thoughts on how you can provide a memorable experience to customers from the contact centre. Go above and beyond. 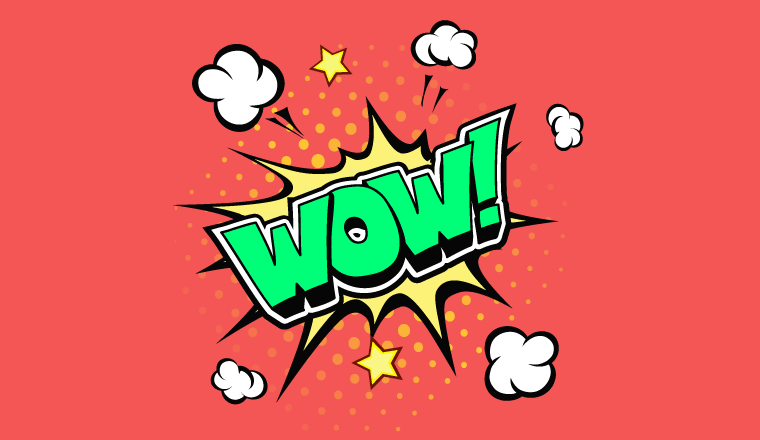 Meeting customer expectations is a must, but exceeding them and putting in the extra effort to create “wow” moments helps set yourself apart from the competition. In most cases, “wow” moments are small details based on an amazing bit of customer service. Examples of “wow” customer service include: providing same-day emergency delivery, performing spontaneous acts of kindness and finding innovative on-the-spot solutions. If you don’t take care of your customers and fail to provide them with these “wow” moments, somebody else likely will. Positive brand associations from consumers are all important because negative emotions can permanently jeopardise the customer relationship. Despite greater automation and a shift to self-service, emotion remains intertwined in every purchasing decision. Businesses need to understand that customers feel appreciated when they receive updates and proactive communications on the channel of their choice. Achieving this requires monitoring of customer journeys to proactively trigger promotions, invitations to chat, provision of tutorials or assistance and more that are applicable to that particular customer. Recruiters need to identify candidates whose personality and background makes them inclined to the right modes of behaviour. Even in an age where automation and self-service are more commonplace, the personal touch is still vital. When customers make direct contact with a business, staff must respond by using their own understanding of human behaviour and intent along with all the insights generated by an engagement engine. When customers make direct contact with a business, staff must respond by using their own understanding of human behaviour and intent along with all the insights generated by an engagement engine. This helps to create personalised experiences that produce the right outcomes for both sides. We all remember when a business treated us surprisingly well – and when the experience was less than great. If all staff are committed to providing great customer experience, they must be fully grounded in the organisation’s core values. These values must infuse entire customer contact teams, reinforcing a culture of cooperation. A strong team culture is fundamental to putting these values into practice. This culture should revolve around pride in helping customers win. From the initial point of contact to the delivery of goods, across all touchpoints and business departments, the company’s values must be aligned to deliver timely, personalised, expert service that inspires brand loyalty for each customer. Pulling all the relevant customer information and channels into one simple unified interface not only means less time navigating multiple screens, but also makes the customer journey simple to understand for the advisor. However, that is not all. Making customer information instantaneous helps deal directly with the issue at hand and also gives organisations enough data to think about being more proactive. You can follow up negative and positive feedback, or – to create a truly memorable experience – you can create new rules based on the customer’s journey. For example, proactive messages can be used when a customer’s account is going below a minimum or process for ongoing services are changing. Many companies ask their customers for feedback, but then what? We all know the feeling that our responses are not being heard. Directly responding to customer feedback sets you apart from other organisations. An immediate phone call or email thanking customers for their thoughts and offering help can solve a short-term problem and build long-term trust. To do this at scale, it can be good to install customer feedback management software that can intelligently alert the right person to respond to feedback, track their actions and send reminders to them. This software is best integrated with other business applications, so advisors can document these “feedback interactions” using the same systems as they would for other customer interactions. To create personal relationships that stand out, advisors must feel comfortable and be prepared to go off script when speaking with customers. However, advisors also need to be experts, so the contact centres feels secure in letting the script go. So, businesses need to encourage advisors to practise with and learn from supervisors and other internal experts to empower them to use their initiative efficiently. 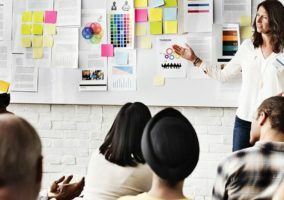 While this requires an ongoing investment in training, employee productivity and job satisfaction will increase, boosting call resolution speeds, saving businesses money, and customers’ time. Technology can also support this. For example, cloud service tools can be used to display relevant interaction history prior to the agent engaging a customer. This gives the advisor the opportunity to make the dialogue more personal. Ensure that advisors tailor the tone and the content of their interaction to the nature of the enquiry and the customer making it. LEGO find that the phrase “Happy building” works well as a sign-off for enquiries about buying new building sets. By listening closely to customers over time, advisors will learn what words and phrases resonate with them and can use these to build rapport to make every interaction a memorable one. Responses are ideally tailored to the query. For example, LEGO find that the phrase “Happy building” works well as a sign-off for enquiries about buying new building sets. 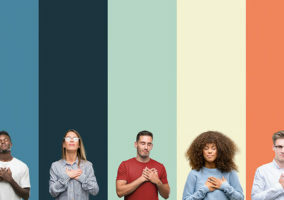 Businesses can use speech analytics to understand what words or phrases their most successful salespeople use, how they position the product/service and what makes them stand out from the crowd. They can use this understanding to build more of a picture of what makes customers happy and play back the insight gained into agent training programmes. By using training sessions to spread these approaches, the contact centre can also help to dispel certain practices that may have previously spread around advisors, but which may work against the best interests of the customer. Poor customer service can equal poor business performance. Therefore, getting the fundamentals correct, such as ensuring call quality is the best it can be, is of paramount importance. These three issues are those that often can be bypassed by having the right technology in place. For example, the “perceived security of the line” issue can be avoided by using headsets with a security encryption. This means that information being given by the customer over the phone is safe and there’s less chance of personal information being overheard. In a world here customer service is becoming a key business differentiator, perfecting your ideal customer journey is how you can create memorable experiences. To survive in the customer-led economy, businesses have to adapt to customer behaviour. They need to collect the right data to ensure every interaction is personalised. Part of the personalisation of customer experience includes letting consumers choose how they want to get in touch. Providing an omnichannel service – where a conversation can hop from Twitter to phone to email, without causing confusion or hassle – can create a truly memorable experience. To provide a personalised experience through every channel, businesses should be able to track every customer conversation across multiple channels. 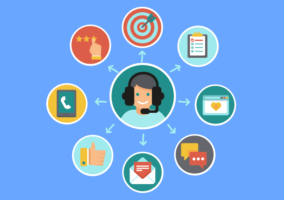 While today’s customer now expects to be able to raise and resolve issues on multiple channels, from live chat to social media, many of the most critical conversations still take place over the phone. This makes clear communication an integral part of delivering a positive experience for the caller that is memorable for the right reasons. To facilitate this, advisors need a headset that is comfortable and not only has great acoustics but also a high performing microphone. If the advisor can’t hear, or be heard, this is already compromising their experience and the experience of the caller. For busier environments, noise cancelling features will help advisors focus on the caller without distractions, whilst wireless technology will allow them to move around freely. Providing this mobility enables the user to easily source the information needed to solve customer queries, rather than lengthening the call and keeping the customer on hold. If you really want to deliver a memorable experience, then the best thing to do is listen to your customers. Listening is critical to success. When asked about their emotional state before a call to a call centre, the top response by almost half of consumers (46%) is that they just want someone to listen to them. However, only half that number (23%) reported they felt listened to after the call. Yes, you could send customers anniversary cards to try and be memorable, but what they really want is to be listened to. For example, you could use see real-time analytics to guide your advisors so they use active listening on the call and create an ‘empathy’ score to measure each agent’s listening ability, which can be featured on advisor scorecards. The right mindset is essential. Introduce a culture that thrives on experimenting with new ways to solve customer problems. Foster collaboration through regular team huddles and online mechanisms for sharing best-practice tips and learning with colleagues, as well as the rest of the organisation, to inspire everyone to provide memorable customer experiences. Also, you could choose to deploy the latest workforce management (WFM) technology to optimise agent schedules that take into consideration individual preferences and introduce gamification to reward performance in a fun environment. This will keep agents motivated and fire them up to turn good customer interactions into memorable ones.